Transfer color and black and white photocopies to any decoupage project surface: wood, fabric, canvas and more. Simply brush magical medium onto copy. Apply to project surface; when dry, rub paper to reveal image. Permanent; washable. Includes transfer medium, brushes, Brayer and squeegee. 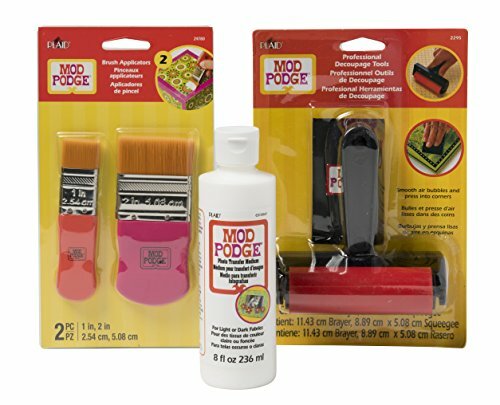 If you have any questions about this product by Mod Podge, contact us by completing and submitting the form below. If you are looking for a specif part number, please include it with your message.